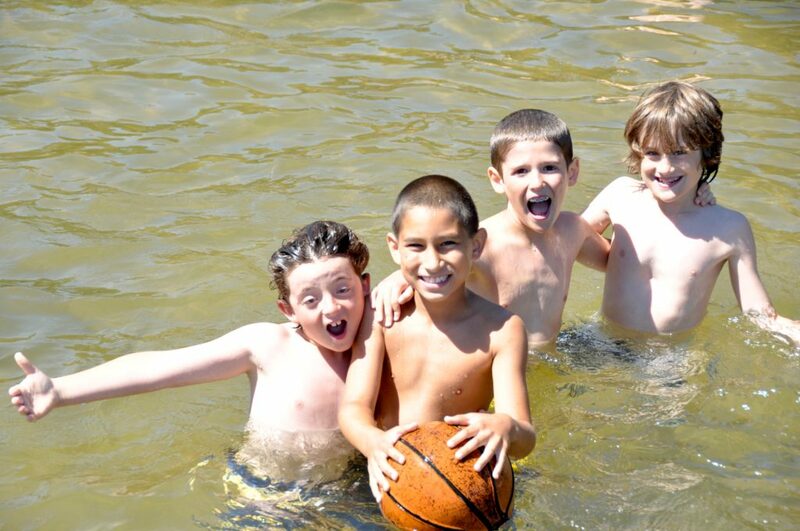 Are you struggling over whether to send your child to overnight camp this summer? Do you wonder if your child is old enough for this adventure? In my years at camp, I’ve come to believe that there is no “right” age to try camp. I’ve seen 9-year olds who thrive and 15-year olds who prefer to stay closer to home. As you are making your decision, I’d look more at their readiness than their age. Your child begins to express an interest in going to camp. If your child is becoming more involved with friends and spending more time away from you socially, this may be a sign they are ready. They may even ask or show a curiosity about camp if they have friends or older siblings who attend. You and your child are confidently able to spend longer periods away from each other.Is your child having successful sleepovers? Do they ask to stay longer? Are you comfortable when they ask to do this? At any age, kids may experience nervousness or anxiety when away from their parents or home. You may also experience similar feelings when your child is not in your charge. If the nervous feelings can be articulated and addressed, camp may be a great next step! Your child gets along well with their peers.This may seem like a no brainer, but if your child is having behavioral issues or challenges connecting with their peers at home or in school, most likely these will follow them to camp. Kids who find it easy to get along with others may be more likely to be ready for camp at a younger age. Your child is able to follow directions from leaders and ask questions. There are so many wonderful things that your child will be learning at camp. Being able to follow directions and respect the counselors and group leaders is a necessary skill in order to be away from home. At the same time, if they need help or are having a problem, they need to be able to express their needs to their counselor until their needs are understood and met. Consider if your child can problem-solve for themselves or do they rely on you when things aren’t going as planned. Your child is becoming more independent in everyday tasks. Counselors are on hand for basic assistance, to lead activities and to ensure the safety of all campers, but they can’t substitute for parents. If your child isn’t used to being responsible for him or herself, they may not be ready for camp. Consider how much daily assistance does your child need. For example, can they tell time? Can they take a shower and get dressed on their own? Figuring out the right time for your child to try overnight camp may be tricky, but reviewing these signs may bring clarity to your decision. I do not believe in pushing a child to go before they are ready and you are ready to send them. Your worries can impact your child’s confidence in their own ability to be successful in the camp environment. We want camp to be a successful experience for the whole family. It’s a big decision and there most certainly will be moments of sadness or homesickness on both sides. Remember that this is normal and should pass as your camper becomes entrenched in camp life and you begin to see the sense of wonder in their eyes.